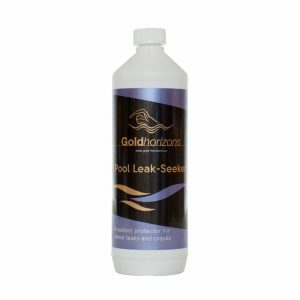 Goldhorizons introduces a specially formulated polyquat/copper blended algaecide. AlgiKill will last for up to 3 months in the summer season and is also a very effective winteriser. As AlgiKill is highly concentrated, a little goes a long way. 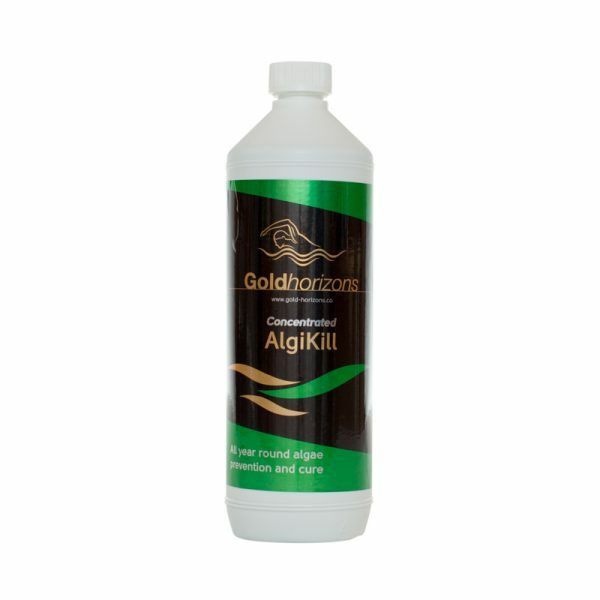 AlgiKill can also be used as a powerful algae destroyer. 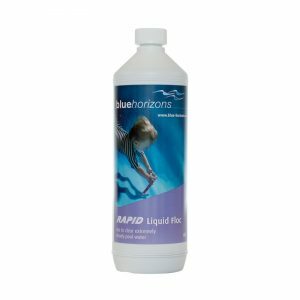 Maintain pH level within the ideal range 7.2 – 7.6. 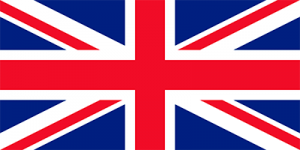 If not in this range adjust. Check the chlorine level and ensure it is established within the idea range 1 – 3mg/l (ppm). Gradually pour the solution into the pool, whilst the pump(s) are turned ‘on’, preferably near the water inlets to aid distribution. 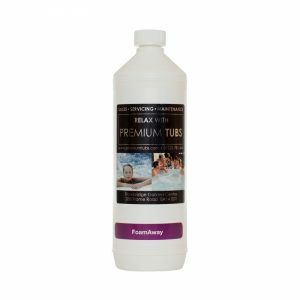 After the initial dose, this product should last for up to three months before further top-ups are required. When used as a winterising algaecide, carry out normal end of season closure procedures (e.g. removing debris and leaves) and ensure good distribution by circulating water whilst the pump(s) are turned ‘on’ for at least 2 hours.